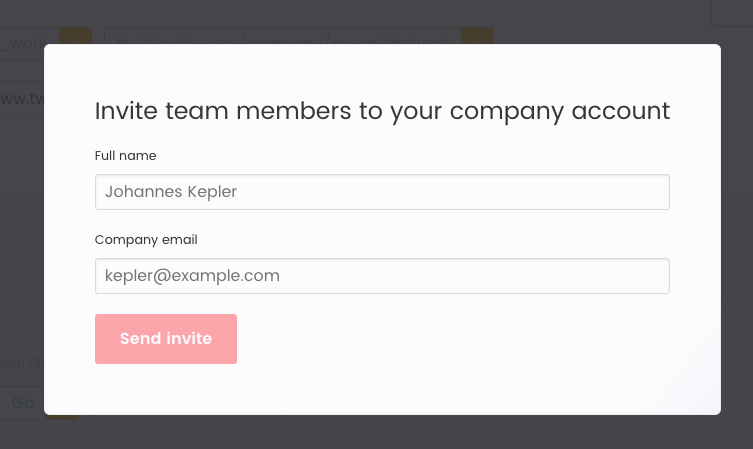 Add collaborators to your company profile so your whole team can access the project. Go through these steps to add team members to your company profile. This will allow the whole team to access the project dashboard, approve invoices, and collaborate with remote developers. Scroll to the 'team' section and press the ' + ' icon. Add team member's email addresses to invite them to make a Moonlight account.